This month’s Depth of Field column brings the stories of Chinese adoption; the marriage ceremony of Hu Mingliang and Sun Wenlin, a gay couple who filed the first civil rights marriage lawsuit to be accepted by a Chinese court (they lost); beekeepers in Yunnan; the lonely life of an 11-year-old with AIDS; and archival photos from China in the 1970s. Depth of Field highlights the new and newsworthy photojournalism published in Chinese media by Chinese photographers. As of 2014, more than 88,000 Chinese children had been adopted by American families. Eighty-eight percent of them were girls. 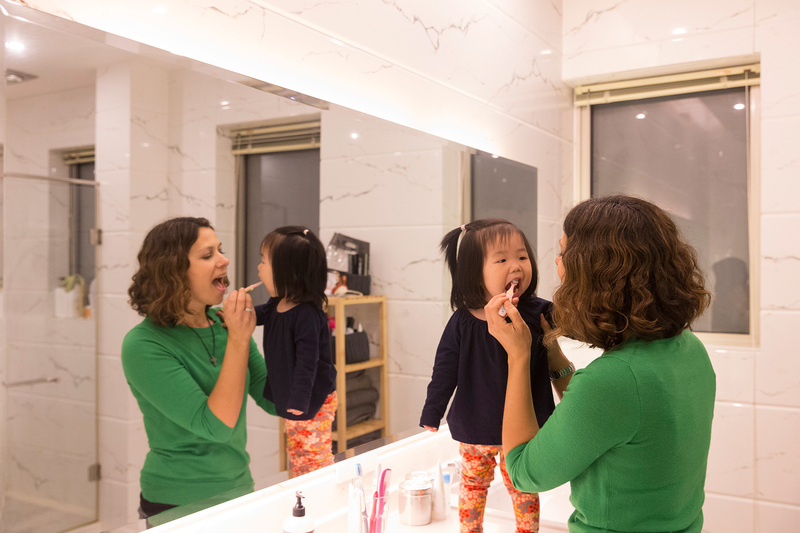 Wu Jiaxiang photographed several American families as they embarked on the process of adopting Chinese children, a process that can cost more than U.S.$15,000 and take as long as two years. Early this year, Hu Mingliang and Sun Wenlin filed a lawsuit against their local municipal Civil Affairs bureau in Changsha for refusing them a marriage license because they were gay. Though not the first couple to file such a lawsuit, theirs was the first in China to be accepted by a district court. Last month, the court ruled against the couple. Earlier this month, when Hu and Sun held a symbolic wedding ceremony, photographer Huang Qiqing was there. The couple also announced plans to organize 100 gay weddings across China. For longer than anyone can remember, the Yangtze River would swell past its banks with each flood season. That is, until China followed Mao’s advice and built the great Three Gorges Dam which calmed the flood waters and solved many of China’s water problems. At least that was how it was supposed to work. This year, China’s Minister of Water Resources warned that citizens should expect the worst in El Niño flooding. But despite forecasts of torrential rains, riverside residents are confident major floods will be averted. In the 1980s, many Chinese suffering from leprosy were relocated to the remote village of Maowangdong in the mountains of Yunnan province. The area still carries a stigma, decades later, although many villagers survived and have had healthy offspring. 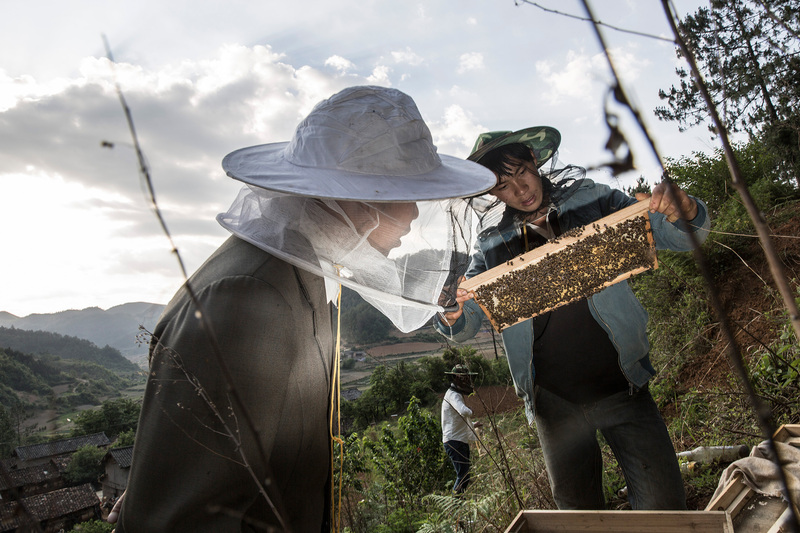 Feng Haiyong documents one NGO’s effort to help villagers break away from isolation and poverty through beekeeping. In rural Sichuan province, near Xiaoliangshan, 2,500 members of the Yi minority group live in an abandoned labor camp where they are able to earn a meager living growing tea. 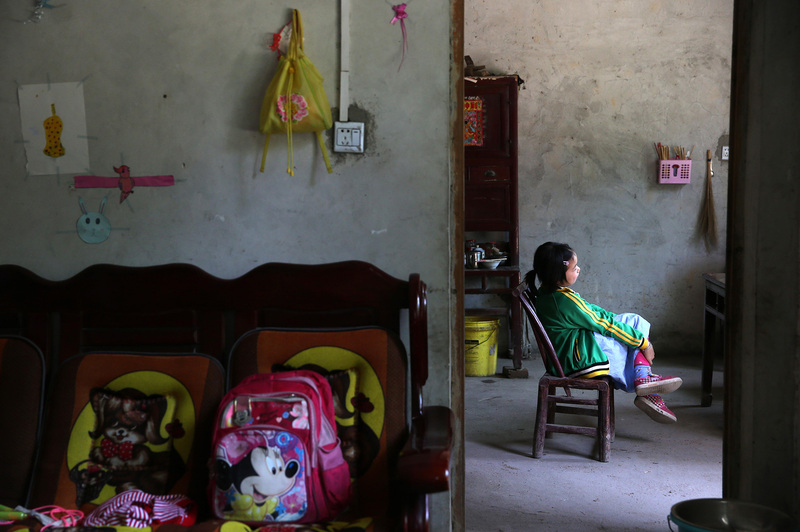 Many of the children there were born in violation of China’s now defunct One-Child Policy, which means that many don’t have a hukou (household registration ID) and so cannot attend school. Even for those who do have IDs, the nearest school is about a two-hour trek through the mountains. Tencent Charity, a channel Tencent uses to raise funds to help the subjects of their photo stories, is fundraising to build new schools so all of these children can go to school, regardless of their hukou status. Official records reveal that China’s cancer patients have been getting younger over the past two decades. 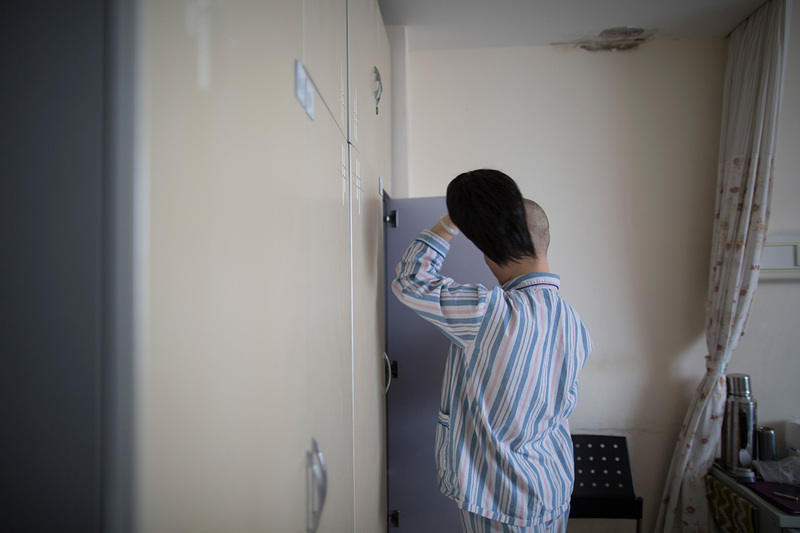 Noting the trend, Caixin staff photographers Wan Jia and Lai Yiting met and interviewed several young adults with cancer. 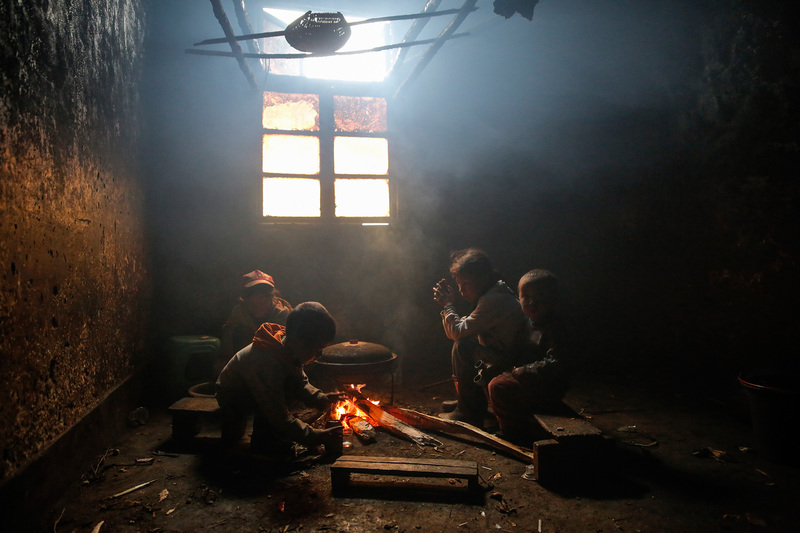 Photographer Xue Jun documents the life of 11-year-old Shasha in rural Hunan, China. When she was seven months old, her mother died from a brain tumor, and last year her father died from complications from the AIDS virus. Shasha was left to live with her grandparents. When word spread that Shasha is also HIV positive, her school threw her out, isolating her from her friends and others. 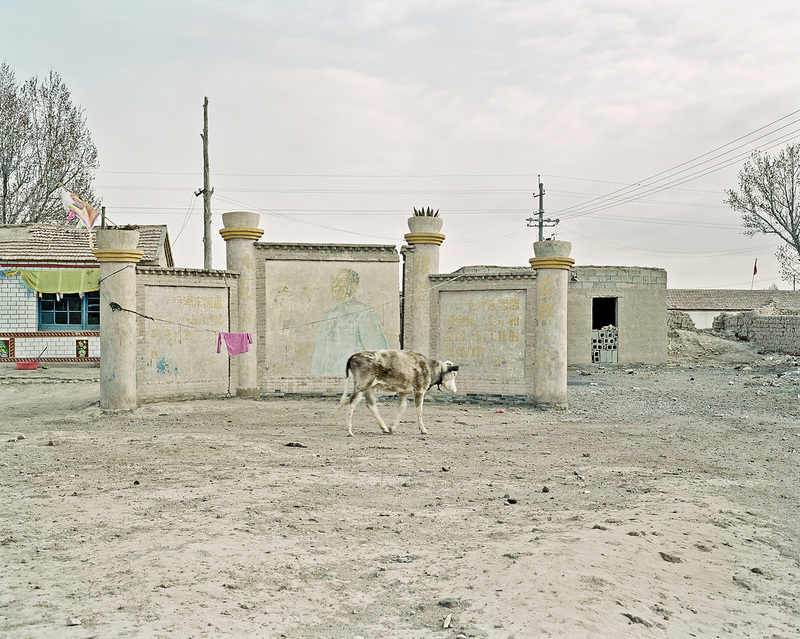 Photographer Li Ming was born in Xining, the capital of Qinghai province on the Tibetan plateau. Li’s hometown was once a stop along the Silk Road. 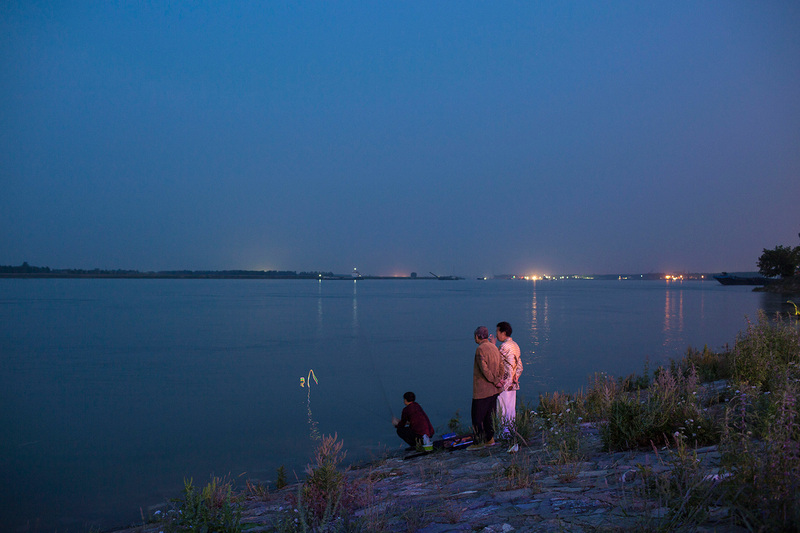 Recently, Li returned to find the area in the throes of rapid urbanization. San Liao, a village of 6,000 located in the eastern province of Jiangxi, prides itself on being China’s Number 1 Feng Shui village, with more than 100 professional Feng Shui masters who select the best locations and orientations for tombs, homes, and commercial buildings. 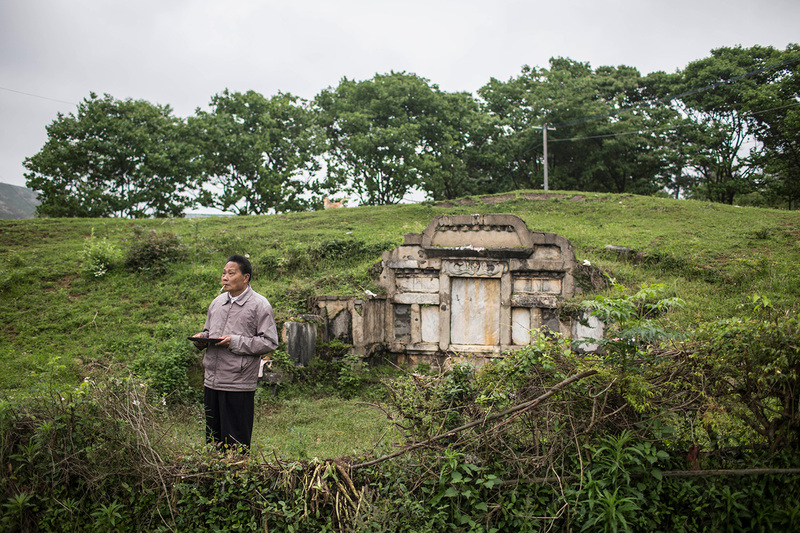 The local government of San Liao has dedicated $50 million to developing “feng shui tourism,” but the village’s road to prosperity is difficult because feng shui was outlawed during the Cultural Revolution as superstition, a view many people in China still hold. People born in the 1980s in China grew up in the decade of economic reform amid opportunities that previous generations could never have dreamed of. 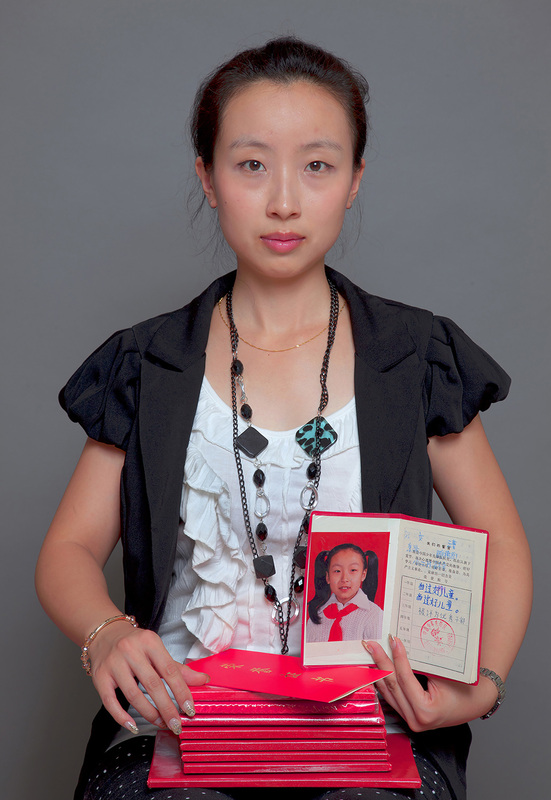 Photographer Lu Beifeng made portraits of members of this generation in Beijing in 2010 when the oldest had just turned 30 and the youngest were 21. Lu photographed people from all walks of life. From May 28 to June 11, this series of portraits will be exhibited in Inter Gallery in Beijing. These photos depict five former “sent-down youth,” or zhiqing, who were dispatched from Shanghai and Chongqing to the jungles of Xishuangbanna prefecture in Yunnan province during the “Down to the Countryside Movement” Mao Zedong initiated in the late 1950s. 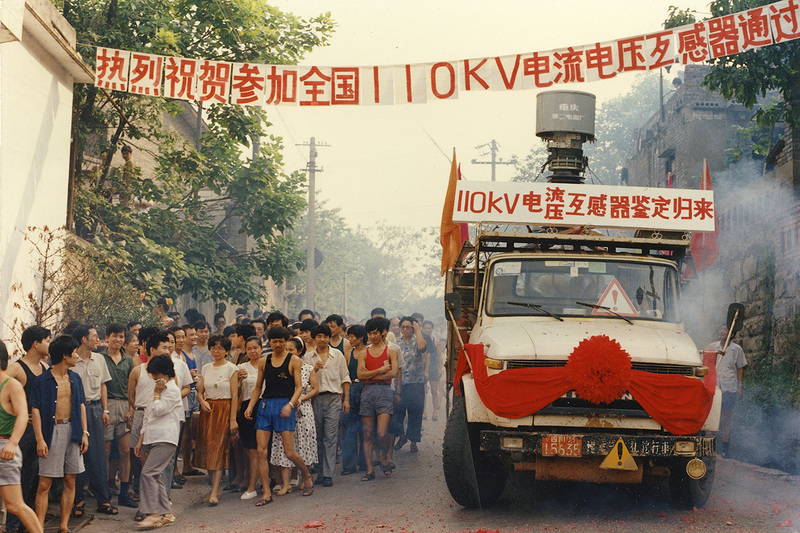 The movement continued until the end of the Cultural Revolution in 1976, during which time some 17 million urban youngsters were resettled in rural areas to be reeducated through agricultural labor. 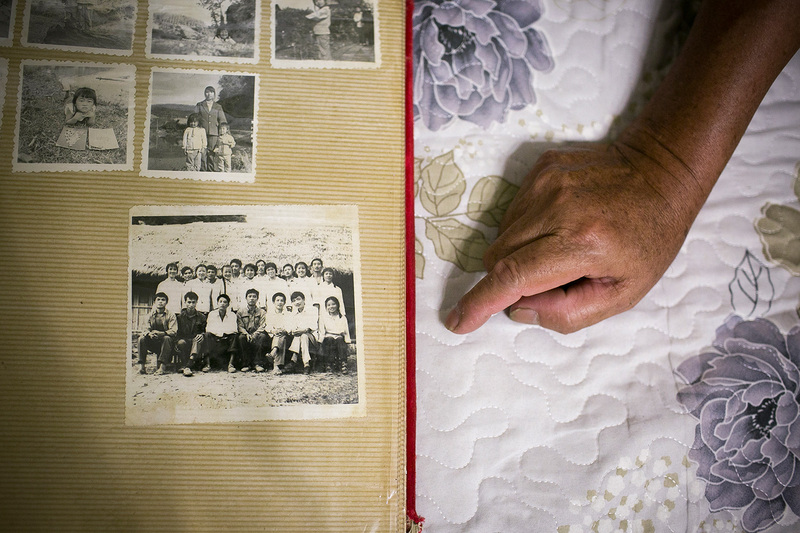 This photo essay explores its subjects’ recollections of their experiences, 50 years on.